Your data, ON your device. Sync GoldMine contacts, calendar activities, contact notes and histories, to-dos and opportunities with your mobile devices. The #1 selling PC sync suite for phones, tablets, and Google. CompanionLink Professional lets you synchronize with 5 devices using the Profiles feature. 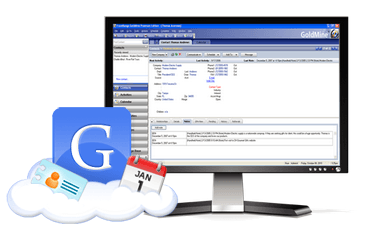 Sync GoldMine contacts, calendar activities, contact notes and histories with your Google, Gmail, or Google Apps account. CompanionLink installs on the PC and syncs GoldMine data to your Google/Gmail account. 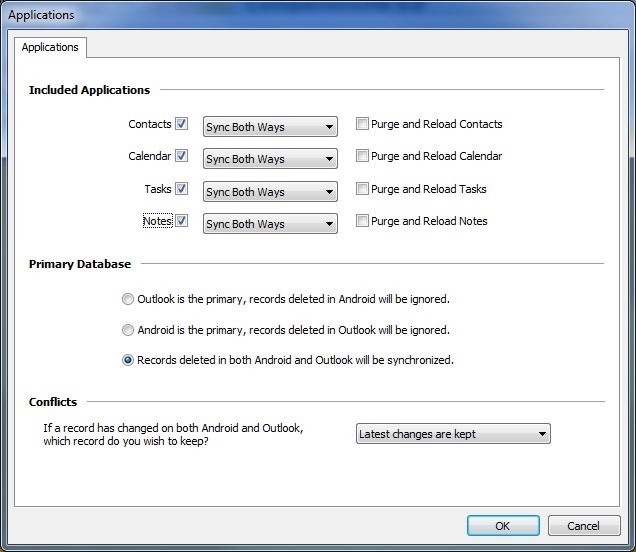 Two-way sync is fully supported so you can make changes to data anywhere. Once your GoldMine data is syncing with Google, you then will setup/configure your device to sync with Google via Google Sync. CompanionLink Professional on your PC. A Google, Gmail, or Google Apps account. Install CompanionLink on your PC and configure it with your Google username and password. 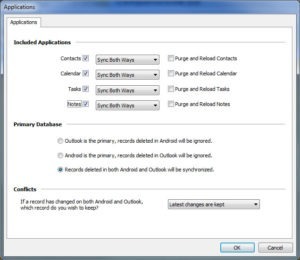 Select which data types you wish to sync – contacts, calendar activities, contact notes and histories. Once configured, hit “Synchronize” and your data will sync between GoldMine and Google. Please check out the Google Sync website for instructions on how to sync your hand-held device (iPhone, Android, iPad) with Google. Please fill-out the form below once you submit your information you will automatically be redirected to the trial download.